Lily Collins was on hand for the 2019 EE British Academy Film Awards at the Royal Albert Hall this evening(February 10th) in London. 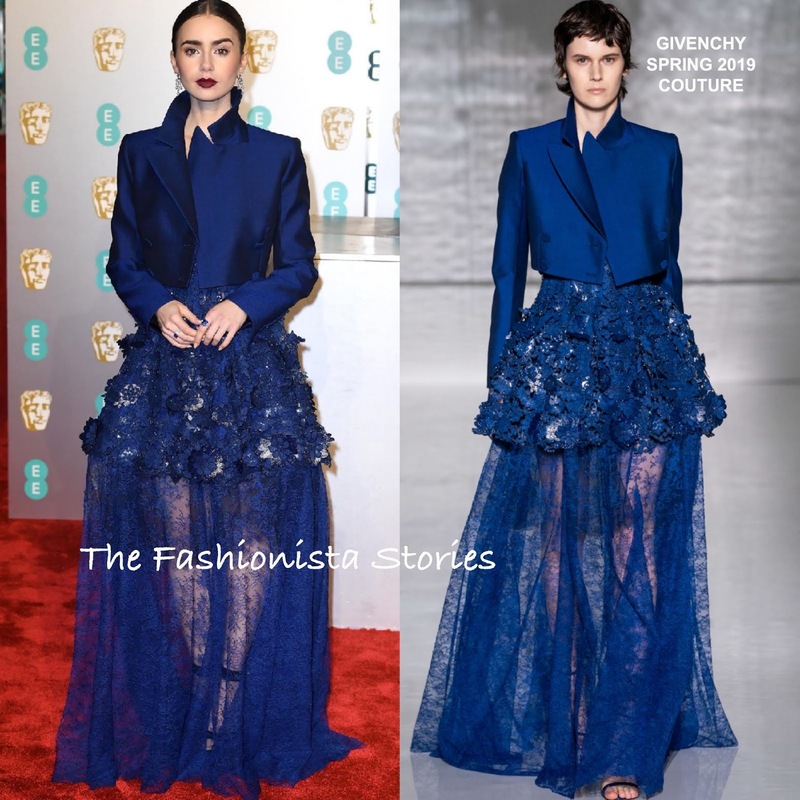 Turning to one of her go to designer brands, she wore a feminine GIVNECHY SPRING 2019 COUTURE blue floral embellished and lace gown, which got a masculine touch via the blue crop tuxedo jacket. The color is strong and makes an worthy impact but I can't help but feel this needs to be on someone taller. Lily loves an vampy lip and it worked perfectly against the blue hue. Matching blue stone rings, and a slick center part ponytail finished up her look. Do you think Lily pulls it off?